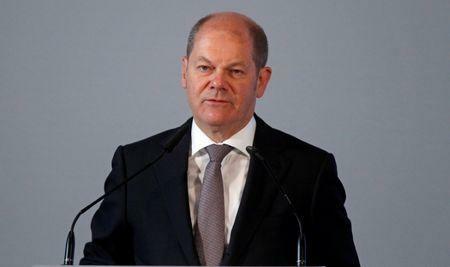 BERLIN (Reuters) - The euro is irreversible, German Finance Minister Olaf Scholz said in a newspaper interview to be published on Saturday when asked if the single currency will still be there in 10 years. "Yes, the euro is irreversible," Scholz told the Rheinische Post. "It secures our common future in Europe." He added that an initial blueprint to strengthen the euro zone agreed between Chancellor Angela Merkel and French President Emmanuel Macron during talks at the Meseberg retreat outside Berlin this week would shield the euro from crises. "With the Meseberg agreements we are further building the house of Europe," he said. "It contains a sealed roof that withstands future storms and rainy days. We have a new momentum in Europe and this is thanks to President Macron."